Facility Equipment: Shop From Our Great Selection! What is facility equipment? In addition to all of the large furniture you need in your school or office, facility equipment includes the smaller details such as transport and storage solutions as well as decorative touches. Hertz Furniture conveniently offers a variety of items from table trucks to wall clocks and everything in between. From the reception area to the janitor’s closet, there are many little improvements that can make a big difference in the day-to-day functioning of an institution. Proper indoor recycling bins and trash cans can help maintain a clean space, while digital signage displays can facilitate clear communication. These are just some of the many ways facility equipment can make a big difference. What is the easiest way to arrange tables and chairs? When it comes to moving furniture around, carrying things from place to place can be quite a hassle. A chair dolly and table truck make it easy to smoothly glide furniture into place without straining or making multiple trips. Our selection of styles supports your banquet and folding chairs as well as tables in a variety of shapes and sizes so everyone can benefit from this option. Where should guests hang their coats in your office? One thing is for sure, clients and patients need somewhere to put their outerwear on cold days. If you don’t offer an organized space, people will be forced to carry heavy jackets around or forget them in all sorts of places. Coat racks and wall hooks create the perfect space to hang coats. They will fit well off to the side in a waiting room or even in a wide hallway. Umbrella stands are also good to have for rainy days. Ultimately, the right option will depend how many people you anticipate being in your office on an average day and which style fits best with your space and decor. What facility equipment belongs in a reception area? There are lots of smaller things to think about when it comes to furnishing your lobby or waiting room. Indoor trash cans and recycling bins are a must-have if you want to keep the area neat and professional. While people are waiting, they will definitely appreciate having some light reading material to help pass the time. Literature racks and organizers offer specially-designated spaces where you can provide magazines and pamphlets. This isn’t just a welcome distraction, it can also be a way to advertise services and events. What can I add to enhance my classroom decor? Wall clocks and USA and state flags will make an attractive and functional addition to a classroom or waiting room. Clocks come in a selection of styles that can look great in any professional or educational setting. You can choose something that will blend right in with the decor or add a funky flair. Flags show your patriotism and encourage your students to be good citizens. Many also have colorful designs that can bring some new hues and excitement to a space. Where can I get digital signage for my business? Hertz Furniture has attractive digital signage displays that are perfect for business advertising or announcements and updates. With remote programming and unlimited layouts to choose from and create, it’s easy to create custom messages and templates. For those who don’t want a full-size display, we also offer digital kiosks which can fit on a table or countertop. What special furniture do you have for a school nurse’s office? 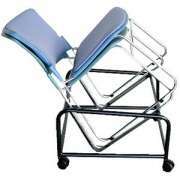 We have all of the medical furniture you need to take care of students who are not feeling well. From recovery couches to medical schools, everything we offer is safe and comfortable. There is nothing more comforting to an ill or injured student than knowing that there is a comfortable place to relax and get taken care of properly right in school. What special storage solutions do you have for a school or office? 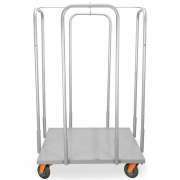 In addition to all of the typical options, we offer safety cabinets and utility carts for more specialized needs. If you need to store harmful chemicals or other flammable liquids, chemical storage cabinets are a must-have. 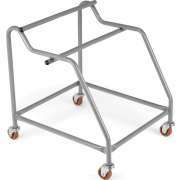 Utility carts are ideal for moving small accessories around. They keep things mobile and organized and can easily fit in a storage room or supply closet. What are crowd control stanchions? Crowd control stanchions are posts with ropes in between them which are used to mark off a specific area or keep people in a line. They are often used for special events such as concerts and plays. A selection of sleek styles and colors lets you fit a variety of spaces and purposes. Elegant stanchions and ropes are appropriate for more formal occasions. They can even be coordinated with the decor in your auditorium or social hall.